SeaLife Aquarium Fun & Giveaway! You are here: Home / Expired / SeaLife Aquarium Fun & Giveaway! 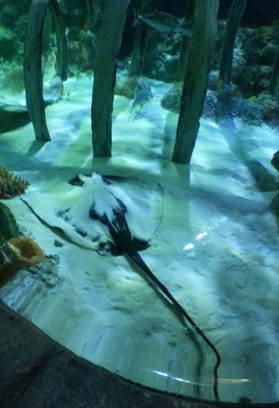 Yesterday we got to spend part of the afternoon at SeaLife Aquarium. They just opened a brand new exhibit their Turtle Rescue Center! Turtles that have been rescued for one reason or another have been nursed back to health and they have now created tanks that are the perfect depth for them to safely dive based on their injuries. Last time they invited us we got to see a turtle who had been hit by a boat and part of the shell was gone and it won’t grow back – so they “patch” it with something that simulates their shell! They currently have 3 turtles in the new Turtle Rescue Center – their names are Roxy, Squirt, and I can’t remember the third one – oops! 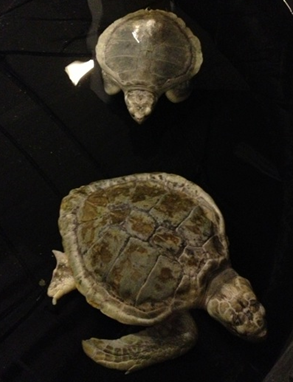 The exhibit will provide a permanent home for two non-releasable endangered Kemp’s Ridley sea turtles, Roxy and Squirt. The Turtle Rescue Center includes tanks that were specially designed to the depth the turtles are able to safely dive based on their injuries, as well as educational information on conservation and turtle rescue. After visiting the new center we were able to enjoy the rest of the aquarium! It’s a great place to take your kids, they have hands on tanks they can touch some of the sealife and they also have a play room, and educational info throughout! They even have an incentive to have the kids learn more about the aquarium. they can find clues and mark things off their list and get a prize at the end if they complete their tasks! 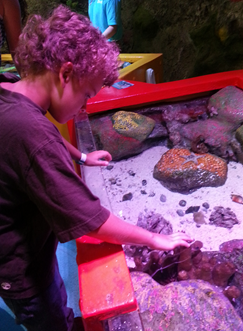 SEA LIFE Aquarium Grapevine transports you into the amazing underwater world. Prepare for astonishingly close views of everything from humble starfish and seahorses to graceful rays and powerful sharks. With an amazing 360° ocean tunnel, 30 display tanks and more than 5,000 sea creatures the aquarium is the perfect stop for family fun! To get any closer you would have to get wet! Admission is $19 for adults, $15 for children ages 3 to 12. For more information visit www.SEALIFEus.com/grapevine. 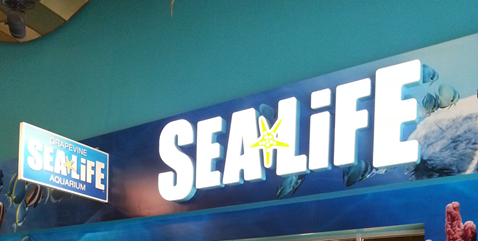 Follow us at www.Facebook.com/sealifegrapevine and www.Twitter.com/sealifegrpevine. The SeaLife Grapevine Aquarium in Grapevine Texas is offering 1 lucky reader 4 tickets to their attraction! Mandatory Entry: Leave a comment telling us your favorite indoor summer activity for kids! You can do #’s 7 – 8 once daily – just make sure to come back and comment after each time to get an extra entry! This giveaway will end Saturday, July 20th, 2013 at 11:59 pm Central time and the winner will be emailed soon thereafter. Make sure you add [email protected] to your address book, so you get the email if you win! Since my baby is only 2 months old, my favorite indoor activity is sleeping and cuddling with her.